I’m often asked the question, “Where is a good place to catch a trout close to Christchurch ?” In truth, this is now a more difficult question to answer than it was a couple of decades years ago. Sure there are still good trout to be caught close to the city, but they just aren’t around in the same numbers! However every now and again the rivers close to the urban centre of Christchurch produce some remarkably big trout! Fly Fishing New Zealand. Another favoured spot for sea-run brown trout is the Waimakariri River downstream from the new motorway bridge. This stretch of water is an important ‘after work’ fishery for many Christchurch anglers. It is particularly popular with those living in Kaiapoi. But the Waimakariri sea-runs have also suffered in recent years especially from the partially treated sewage that is released from the pipes on the bridge piles on the old main North Road. If you have ever wondered about the purpose of those thick white pipes running along the bridge, now you know! The new sewer outfall being built north of the Waimakariri River mouth should fix this problem! 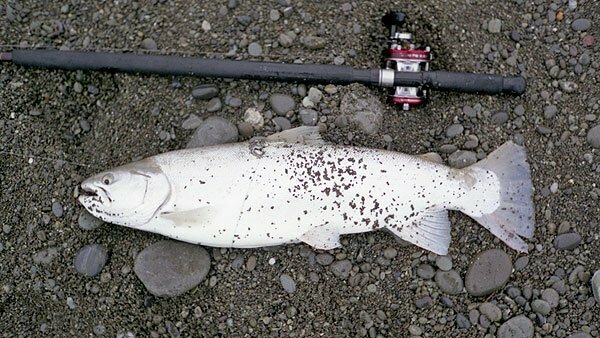 Lower river levels and overfishing have no doubt contributed to the decline in the catch rate for those Trout Fishing Between the Bridges on the Waimakariri but you can still expect to catch sea-run brown trout, resident browns, and rainbows in the winter months. I can remember up to 200 anglers fishing here almost every night just a couple of years ago. 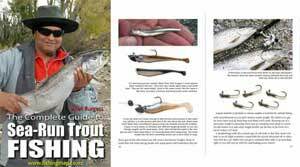 The better, more experienced, anglers would regularly catch their limit of four trout per night in spring and early summer. 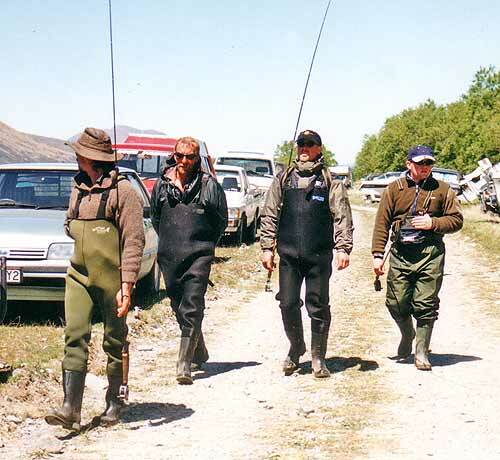 Interestingly ten years ago almost everyone who fished the lower Waimakariri River did so using a D lead and feathered lures, mostly Yellow Rabbits, either on a lure rod or spinning gear. This season I fished the lower Waimakariri River between the bridges, and lower down – quite successfully. I can’t remember seeing anyone using this tackle. Everyone was now fishing with spinning gear and hard bodied lures such as Tassie Devils, Rapalas, Tobys and such like. You would never see these sort of lures used at the Rakaia River mouth for sea-run trout. I suspect the reason for this is that you can get away with fishing more expensive lures in the Waimakariri River because the river flow is slower. In the faster water of the lower Rakaia River Tassie Devils and Rapalas just would swim deep enough without D leads on the line. Also if you tie your own lures, the D lead fishing method is much cheaper. It could get very costly very quickly fishing Rapalas in the fast water of the Rakaia River gut. These small North Canterbury Rivers can, and do, yield good fish despite the pollution from their urban settings. They are also tidal and are great spots for mullet fishing. The best bet is spin fishing with a Tasmanian Devil in a green or gold colour. Salmon also run up the Kaiapoi River and are successfully fished for with hooks baited with whole pilchards. In general, the trout caught from these rivers seem to be horrible tasting specimens. Even the salmon can have a horrid earthy taste to their flesh. The Canterbury high country offers superb fishing. The nearest quality fishing lakes from Christchurch city are those of the Lake Coleridge Group. Access has been much improved over the years. A combination of better roads together with four-wheel-drive vehicles has seen many anglers making day trips to water that was once only occasionally fished by campers. Indeed trout in most Canterbury high country streams are now wary of anglers and are nowadays much harder to fool. The fishing is harder but rewarding for those who know what they are doing. You are much more likely to run into other anglers now than in the past. I guess that’s progress! The high country lakes of the Coleridge group are around 90 minutes drive from Christchurch. The roads are sealed except for the last few kilometres. The main lakes of the Coleridge group are Lake Coleridge and Lake Selfe, along with the smaller Lake Georgina. The biggest brown and rainbow trout are probably in Lake Selfe where they can reach 3 kg. There are also some big browns in Lake Coleridge. Although these lakes are well stocked by the North Canterbury Fish and Game Council the trout and landlocked salmon are usually thin compared to those in the central North Island lakes such as Taupo and Rotorua. The reason for this is that the Canterbury high country lakes don’t have the abundant food supply trout need to grow large and to do so quickly. In Lake Taupo, the huge fishery exists because the trout feed largely on introduced smelt. After being introduced in the 1930s the smelt established themselves in Lake Taupo and continue to breed there naturally. However such introductions were not successful in Lake Coleridge. Smelt are the same fish that enter the main South Island east coast river where we know them as silveries. So don’t expect to catch large heavy fish in these Canterbury high country lakes. The high country areas are open over part of the winter months. Don’t forget that twenty years ago the high country was fished after Opening Day (the first Saturday in November) and around Christmas time. For the remainder of the year, the fish are left to themselves. When the season opened you knew you were casting to fish that hadn’t seen a lure in six months – a delicious prospect! There is more angler pressure on the high country now that the lowland trout fishery has, in general, declined. Trout fishing close to the city is still quite good all things considered. 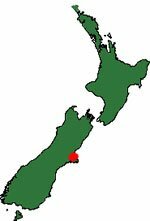 There are over 300,000 people living in Christchurch. Many of them enjoy fishing. The best place to catch a trout around Christchurch is in the high country and mountains to the west, although there are many good-sized trout in the rivers that flow into Lake Ellesmere!